Expressing concern over the pending vacancies in the High Courts of the country, Chief Justice of India T.S. Thakur said on Saturday that the process of appointment of Judges must continue, while the technicalities are being worked on, in order to safeguard the Fundamental Rights granted to the citizens of India. The vacancies, which will hit 500 by the year-end, are placing the judiciary under great stress, Justice Thakur said. The CJI acknowledged that the appointments were delayed because of the challenge to the National Judicial Appointments Commission. “After the matter was resolved the law minister realizing that the process of amendment of the Memorandum of Procedure may take time, wrote a letter to me that the government is willing for the process to be resumed on the basis of the earlier procedure. We immediately agreed and within a period of four to six weeks cleared nearly 163 names that were stuck for more than a year with us because of the controversy regarding the Judicial Commission,” he said. During the event, Justice Thakur, who is the patron-in-chief of National Legal Services Authority, appreciated the efforts of Legal Services Authorities, saying that they reached out not only to the poor by providing free legal aid, but also the judicial system by reducing the burden of pending cases. About 62 lakh cases have been disposed off by the Lok Adalat alone last year, while 1.61 potential cases which could land in courts were settled through mediation. He also addressed the challenges before the National Legal Services Authority, which according to him have multiplied manifold. The most important challenge, he said, is the lack of awareness among the poor and marginalized sections of people about rights. “LSAs should overcome this challenge by using the media and working in association with bar associations, educational institutions and NGOs among others. There is a misconception that justice delivered through LSAs is not quality justice. 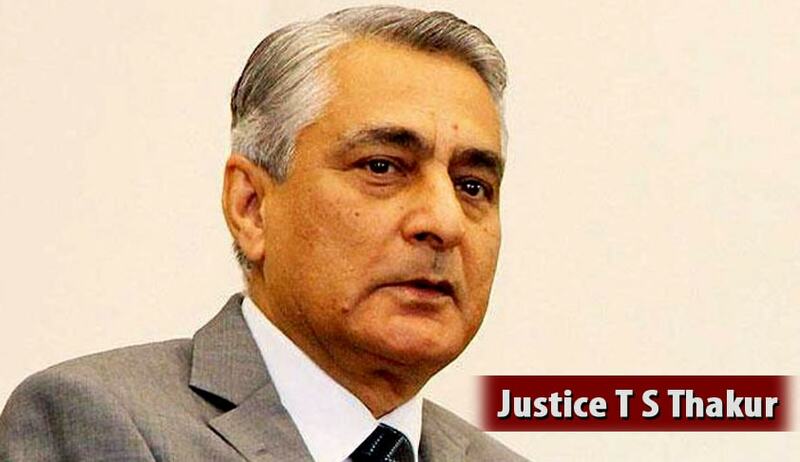 By creating awareness, LSAs should fight these challenges,” CJI Thakur suggested. “More than 30 percent of the population is below poverty line in India. That is about 40 crore people, which is a very big constituency. Also, consider the vulnerable sections of people like the poor, women and laborers in unorganized sectors, among others, who do not have access to justice. Keeping in view the enormous number of marginalized people who do not have access to justice, LSAs have a great role to play and need to live up to the expectations,” he further added. Mr. Gowda announced allotment of an amount of Rs. 140 crore for 2016-17, in order to strengthen the functioning of the LSAs. A legal literacy book for the visually impaired, an Android app of State Legal Services Authority of Telangana and Andhra Pradesh was also launched.